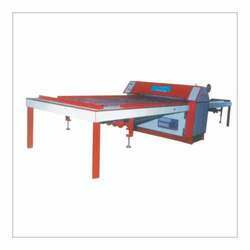 Our range of products include flat bed die punching machine, flatbed punching machine, die punching machine and envelop punching machine. We are offering Flat Bed Die Punching machine to our clients. We are manufacturing a Flatbed Punching Machine that are suitable for all types of corrugated sheet, duplex board and cardboard. This is a clutch operated machine for the automatic stop after each impression. 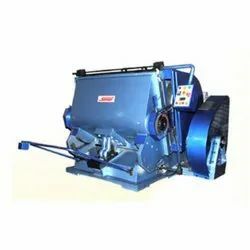 Made from the best quality components these machines are very user-friendly and absolutely defect free. 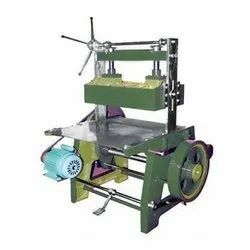 Die Punching Machine for Die-Cutting, Embossing and Creasing Job on Paper, Card Board, Corrugated Board, Fiber Board, Vinyl, Foam, Rubber, Leather, Masonite, Cork Sheets, Polyurethane, Linoleum, etc. This is the right machine for printing presses to emboss stereoscopic designs and letters on delicate printed matters to meet the demand of both Packaging & Printing industries. Fail Safe Combination Electromagnetic Clutch Adjustable Up To Micro System With Star Delta Operation & Control Panel (Brand-Schneider/Siemens Only). Size Platen Size Impression /hour Motor H.P Weight App. This is Envelop Punching Machine for the automatic stop after each impression. Most rigid machine to undertake full Load. Useful for the manufacture of Envelopes. Inland letters, cards etc. The distance between the two plates is adjusted by means of Bevel gearing, according to the pile of papers & height of die. Looking for Punching Machine ?